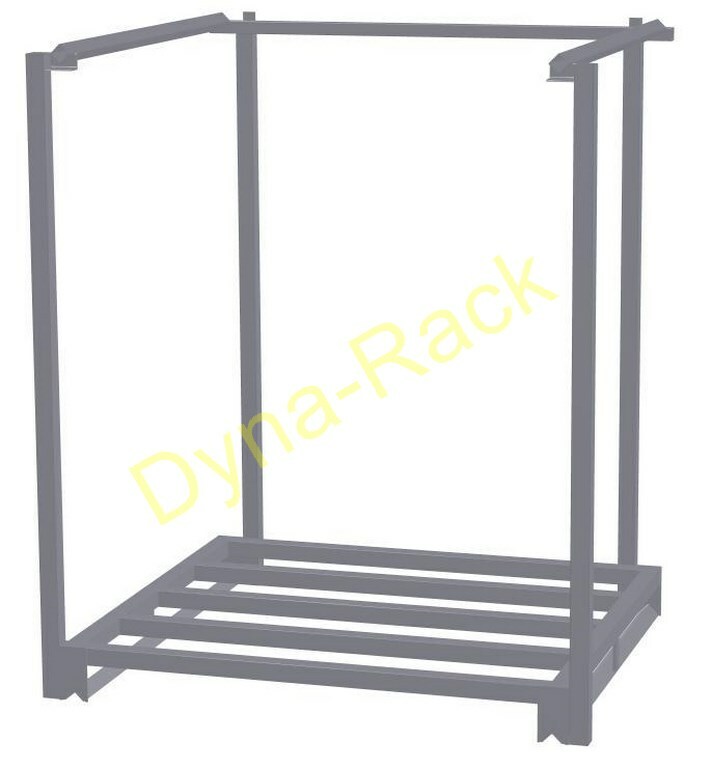 Dyna-Rack - The Dealers' Source for Portable Stack Racks. 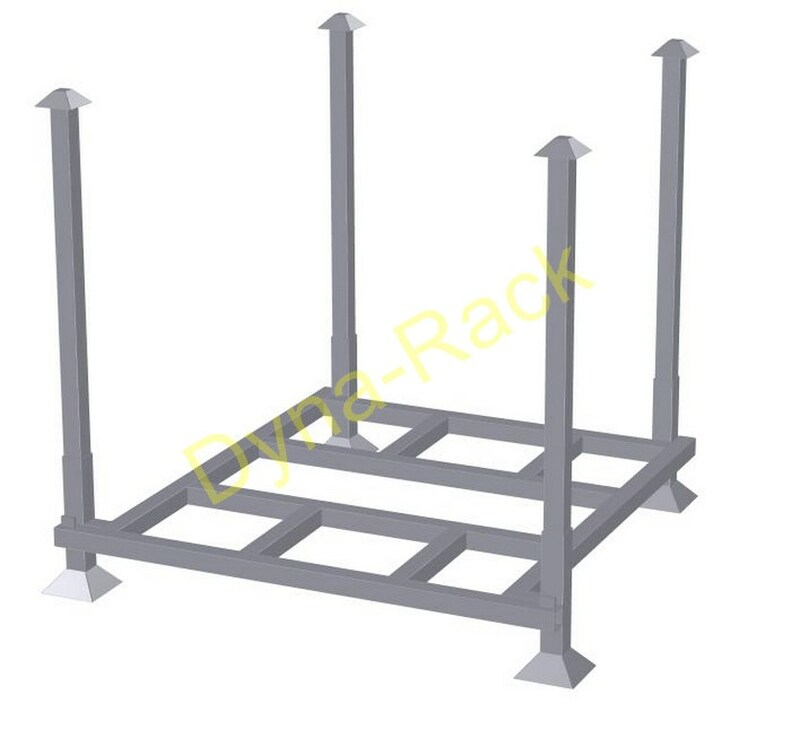 We are a custom manufacturer of portable, stackable racking for business and industry. We work through a network of material handling dealers & distributors. No order is too large or too small for us; we welcome all inquiries. Custom designs built to the user's specifications are our specialty. 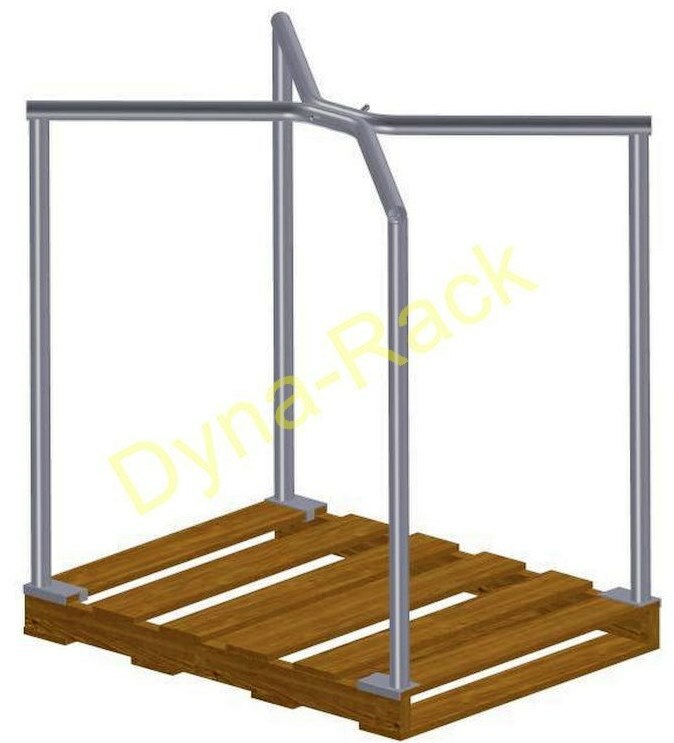 Faster delivery is available on sizes of the 2,000 & 4,000 lb. 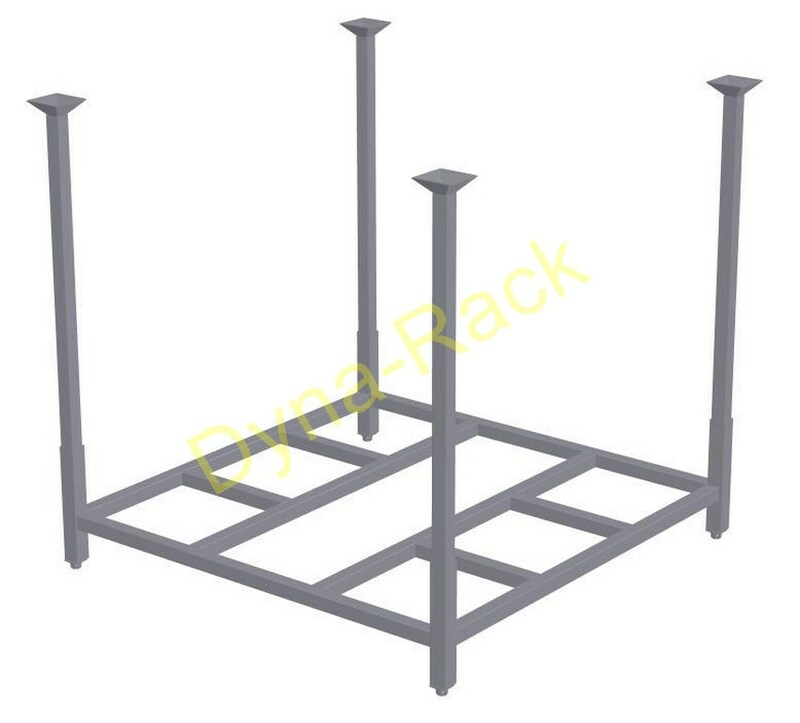 capacity rack design. 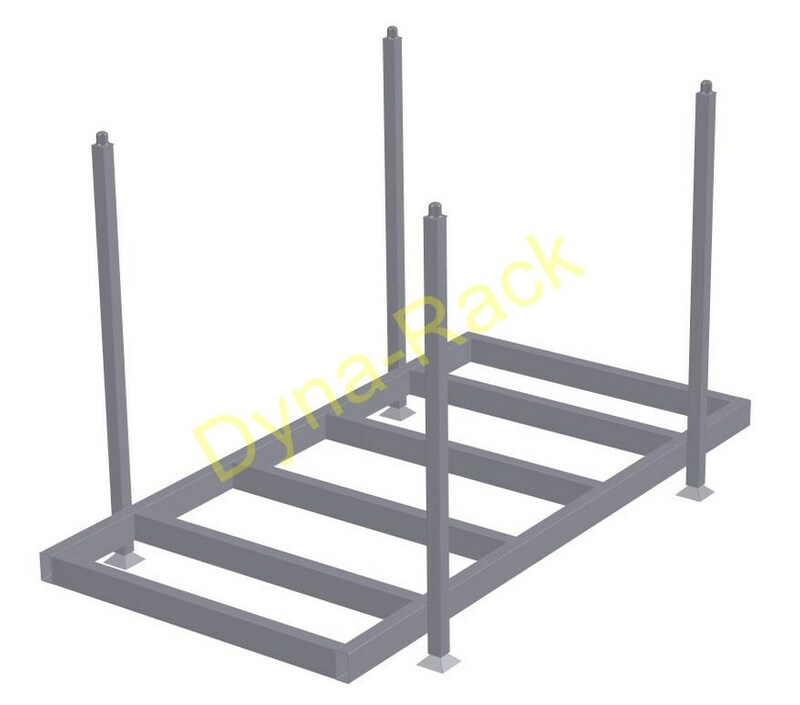 Our stack racks are forklift portable for easy handling of loads up to 4,000 lbs. 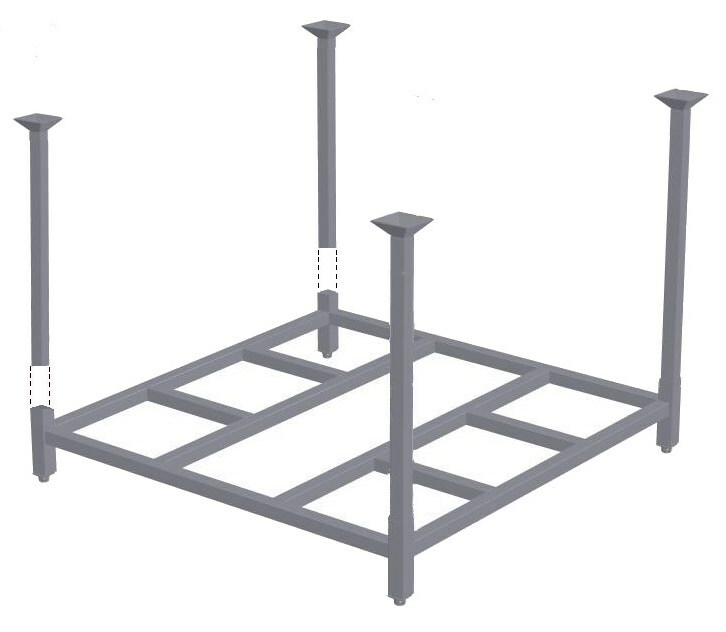 Rugged construction stands up to heavy industrial requirements. Saves time by moving more material with fewer moves. 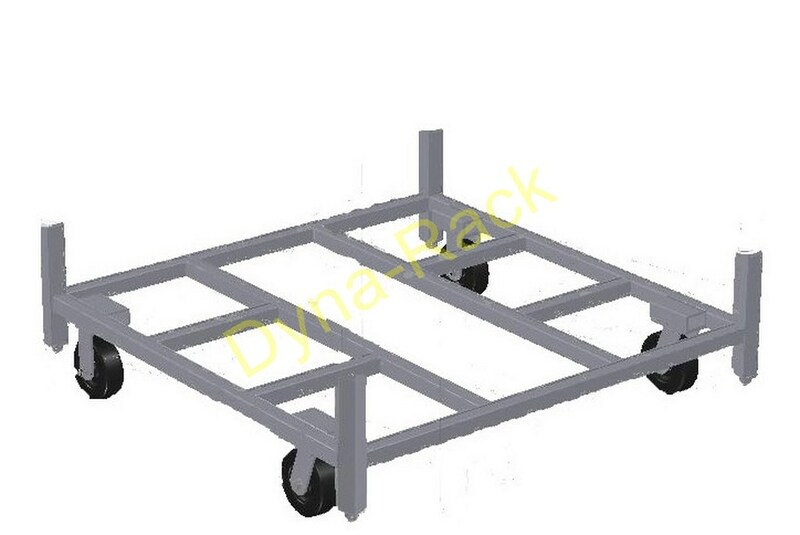 Side and end frames are available to prevent load shifting. Manufactured to your specifications.